Planning a party or event can be stressful! 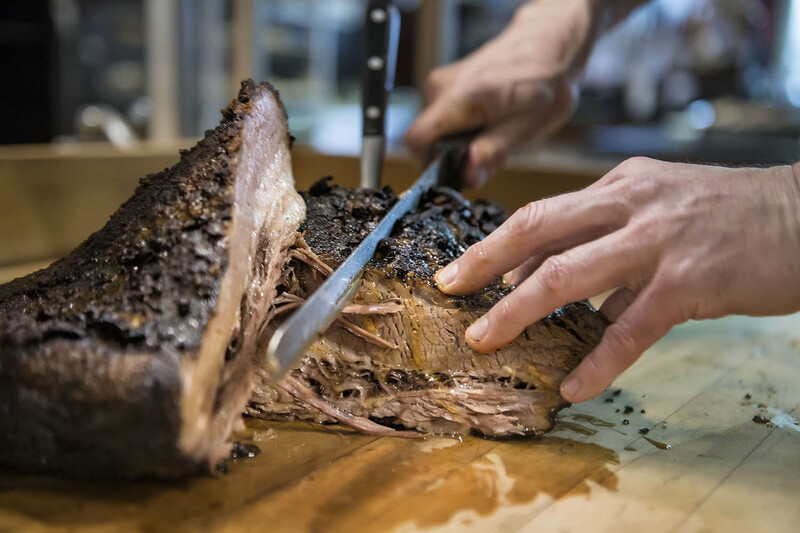 Why not let Smokin’ George’s BBQ do the heavy lifting so you can relax and enjoy yourself. We’ve got you covered with a variety of menu options to help spark the imagination and get ideas flowing. Have some fun with this… check out our menu options and feel free to mix & match items from our sample menus. 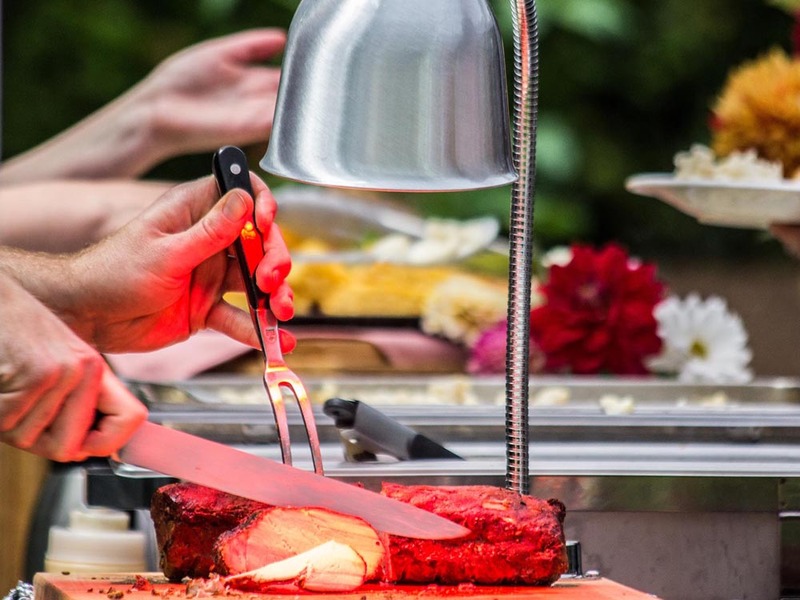 We’re flexible and want to help create a selection that’s just right for you and your guests. And, if you don’t see your heart’s desire here, let us know – there’s a very good chance we can make it happen anyway! Call Lea at 250-585-4372 or email lea@smokingeorgesbbq.com. We recently hired “Smokin Georges” to cater our wedding of 150 guests and we were blown away. The food exceeded our expectations and provided a variety that pleased all of the guests at our wedding. We received huge numbers of compliments about the food, many of the guests now plan on hiring “Smokin Georges” for future events. The staff were incredibly professional and worked very hard to create a menu that suited our theme perfectly. I would highly recommend “Smokin Georges” to anyone who is planning a wedding, party or any other event. We recently had Smokin’ George’s BBQ cater our staff luncheon and what a treat! George supplied more pulled pork, smoked chicken and beef brisket than all our hungry guys could eat, plus all the trimmings (the potato salad is a must try if you haven’t already). Everything was hot and ready to go right on time and he even offered to deliver. 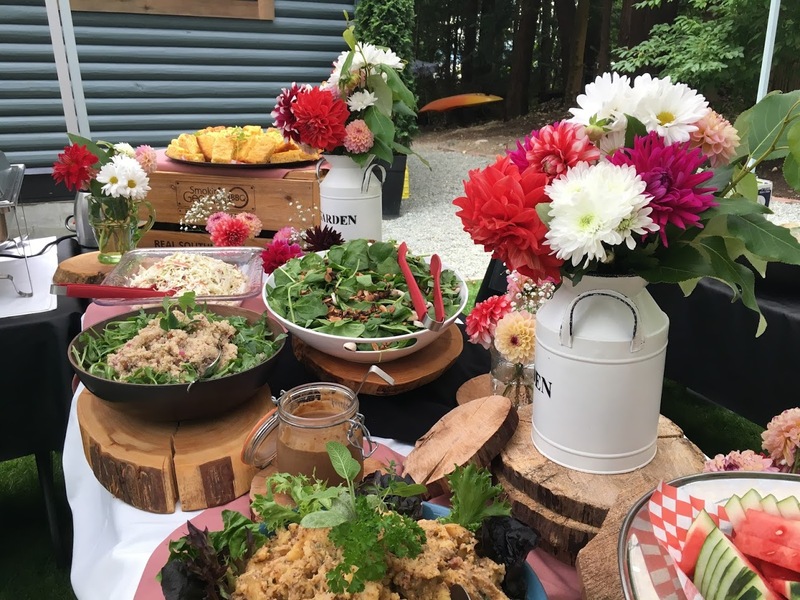 Nanaimo’s best BBQ was a welcome change from the the ordinary and we’re looking forward to the next time he caters an event for us! Rick Bayko, General Manager, DenMar Electric Ltd.
Everything was great on Friday. The lunch was a big success. Everyone was happy to have something to eat rather than pizza. There was plenty of food and it tasted delicious. We will definitely do it again one day. Dear Lea, I just wanted to thank you for the great job you and your company did catering to our social function on March 8, 2013. It was very hard pin pointing how many actual bodies we were going to have actually attend and you worked with me adjusting the menu as we went along. The food was delicious and I would highly recommend you and your catering service to anyone who wants something a little different, fun and delicious!! Smokin’ George’s BBQ has catered a number of our meetings and seminars over the last few years. Always punctual, provide great food and service every time. If you are looking for a change or to spice up your next personal or business event, call Smokin’ George’s. Hi Lea, We had great reviews from all of our guests who loved the food. I really liked the salads, such a nice change from the standard fare. It elevated the whole meal to elegance. LOVE your cornbread! And the mac and cheese which I managed to snag a bit of leftover on Sunday. We enjoyed all the leftovers for dinner on Sunday night. Your team were great to work with and my thanks to you for your assistance with setting up the dessert buffet. Please feel free to use us as a reference for any upcoming events, we would be happy to give our wholehearted recommendations. 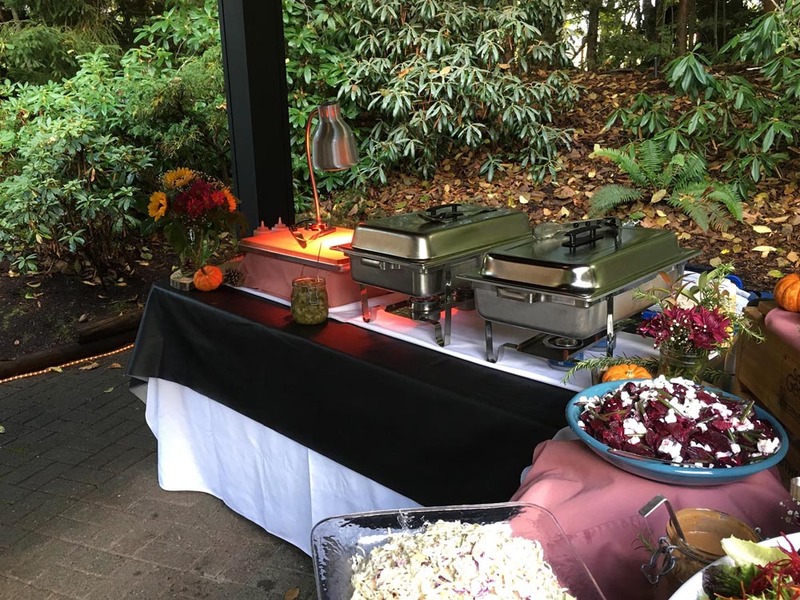 SD 68 (Nanaimo-Ladysmith) recently contracted Smokin’ George’s BBQ to cater a district function that involved many diverse appetites and needs. Simply put, ‘they delivered’ on every account: cost-effectiveness, variety of tasty dishes, and professional/friendly service. Their coordination (set-up, service, and clean-up) was seamless- that allowed our meetings to have both first rate cuisine and a relaxed, productive work session. I have nothing but fabulous things to say about lunch and have had nothing but RAVE reviews from everyone in attendance. The BBQ was a huge success! Everyone raved about the meat (except for the vegetarian). I was hoping for left overs- no such luck! Thanks again for a bang up job! To Lea & George: We would like to thank Smokin’ George’s BBQ for the fabulous catering job you did for our very large team of employees at the Shaw office in Naniamo. Our BBQ was a huge hit! Your service was quick and friendly and the food was excellent. Plus, having the food truck on-site added a fun & relaxed ‘vibe’ to the afternoon. We’re looking forward to more Smokin’ George’s! Thanks again from all of us at Shaw! Hi Lea, THANK YOU. The food was amazing, we had so many people rave to us about the deliciousness. It really was so good. It was also good the next day. We were all super happy, so thanks again for everything! I would totally recommend you guys again and again for a wedding or special event. From the moment I called Smokin’ George’s to book them for an event for 200 people with 3 days notice I was truly impressed with their customer service. Lea was an absolute pleasure to speak with and was extremely helpful in assisting me with a custom menu for our event. 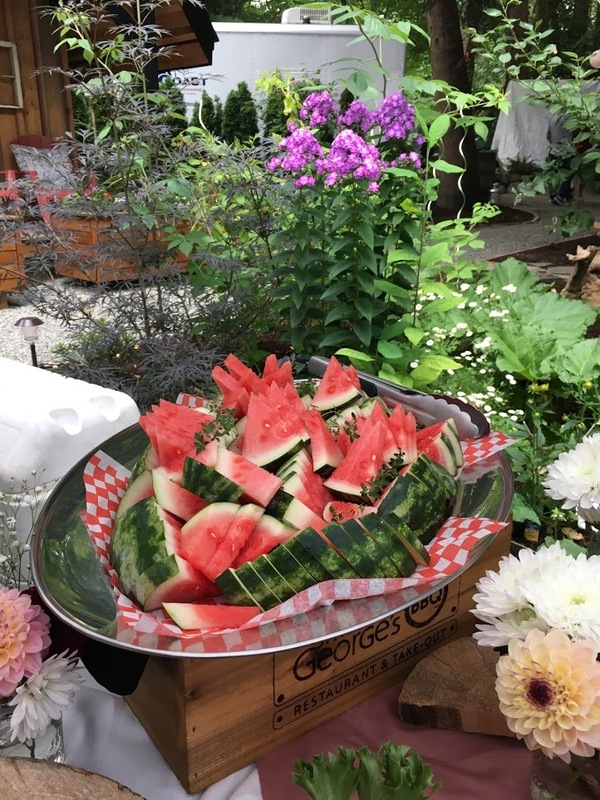 George and Lea arrived on site with smiles on their faces and fantastic attitudes, I didn’t have to worry about the organization of the tables as George and Lea created a beautiful table set up which fit right in with our Western theme. 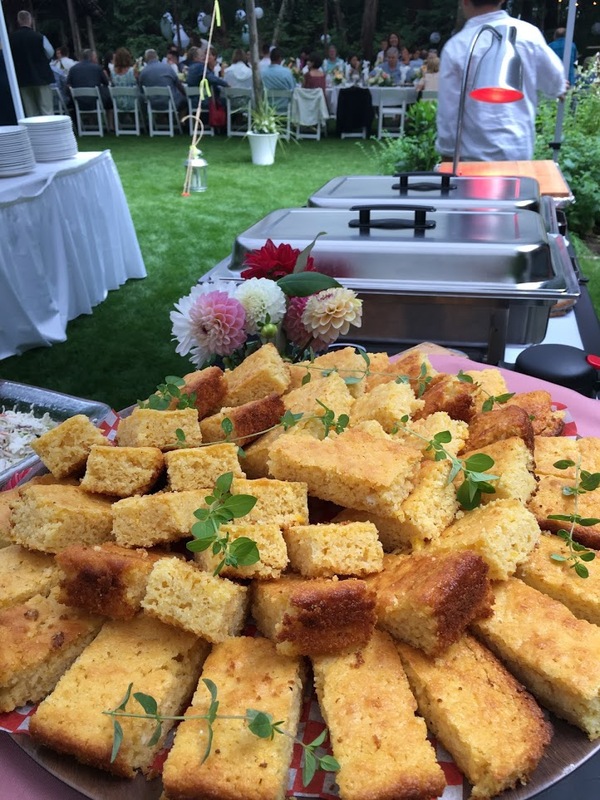 There are not enough words to describe the amazingly delicious cornbread or the taste bud tantalizing sliders they served, everything from the beans to the homemade chips was ASTOUNDING. I highly recommend Smokin’ Gerorge’s to cater your event, you will not be disappointed. Lea, thank you for an excellent job! The compliments on the food at the open house were truly overwhelming. People LOVED the product. You have a business with huge potential and I am really excited about the future of your business!.